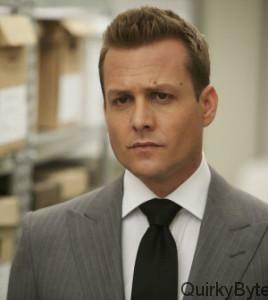 Harvey Specter is one of the mentally strongest fictional characters on TV. We have seen glimpses of his “human” side over the course of last 4 reasons. This time, we saw an unexpected side of Harvey. He was having panic attacks. The scene in which he describes his shrink about how he felt during the attack made me cry. 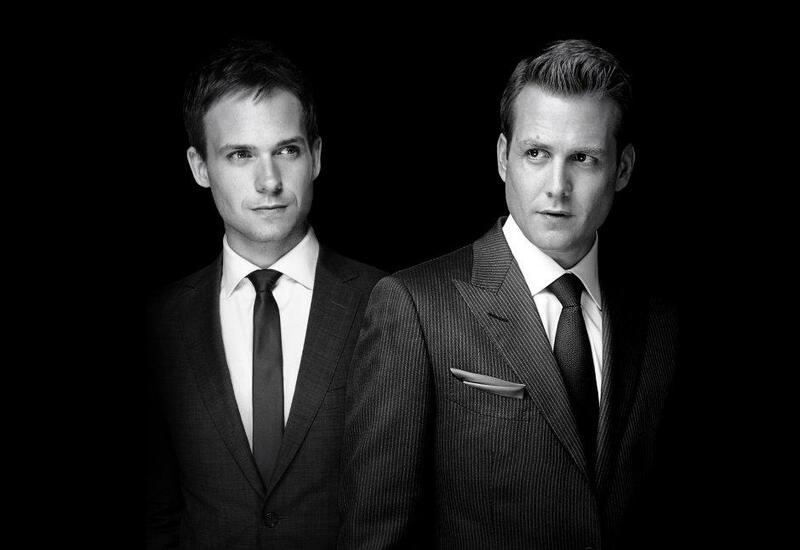 Harvey Specter having panic attacks is like the world coming to an end. He didn’t suffer so much even when Scottie left him or when his father died. But when Donna decides to leave him, it was like his soul had been ripped apart, piece by piece. Harvey is a man of strong mental fortitude; seeing him suffer was like watching an injured tiger. Team Litt has finally scored one against team Specter. And this one is equal to a hundred. Team Specter just lost its major lieutenant. Louis always wanted Donna to work with him and finally when Donna comes to him, he isn’t ready to accept the fact. After the Mike fiasco, Louis assumed that Donna will also leave him. 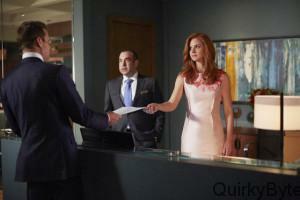 Donna finally confronts Louis in the restaurant and convinces him to allow her to be his secretary. There was a moment where Louis is furious with Donna as he thinks that Donna is just playing him and she will return to Harvey. When she explains Louis that he just had a misconception, they both reconcile and start their new ritual, “THE TEAM LITT CAKE” with Mocha Fudge. Harvey cries. Harvey pleads. It isn’t the Harvey we know. He is seeing a psychiatrist and asks her to prescribe him anti-anxiety meds. Harvey just can’t accept the fact that Donna is gone. He misses a major piece of information while dealing a case and it almost ruins everything. The client calls Harvey,” an Arrogant Loud Mouth”. Harvey we know would have never missed out anything. He goes after Rachel but Mike shows him the reality and Harvey finally accept that Donna is gone and throws his prescriptions meds away. He takes Mike to Nets game as an engagement present. At the same time, Donna is seen giving two gifts to Rachel, one from her and one from Harvey.